The blurb and the cover pic did not intrigue me much for this book. but this book did catch whole of my attention within first few pages. The struggle , the doubts and the journey that Rishi embarks on is very close to reality that we do not wish for but is true for many entrepreneurs. I have been a part of some of these conversations with my friends and irrespective of the outcome , the passion and the loss of it at times is all so real. It is a sort of dramatic ride for Rishi once he meets Alex but the partnership they develop is a solid backbone to the story. 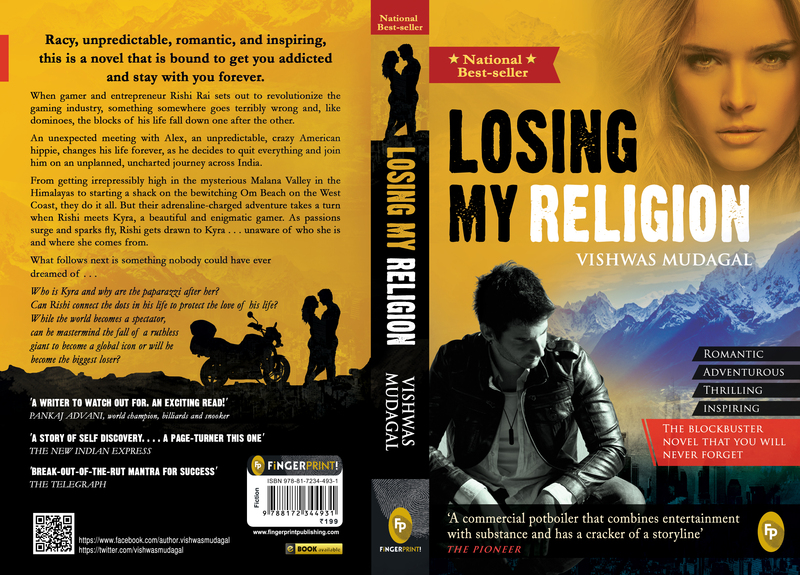 Their experiences in search of meaning to their life and as Rishi says , rediscovering his religion , his mojo takes them from Bangalore to Malana to Gokarna. I will not say that the most part of the story was something unexpectedly new , but the language , the flow and the scenes were sure fun and fresh. I liked Rishi's and Kyra's love story and the events of Haridawar weremost interesting twist in the story. The story kind of picked a lovely pace there onwards but the end was predictable. I enjoyed this book for the way it portrayed the young of India as not just the bored / partying sort but it actually calls to the spirit of being your own boss and making a life worth remembering. It shows how our choices define our life and that it is ok to take a step back some times to look at the bigger picture. This is a fast read that will leave you searching for answers within yourself. Maybe it will inspire a few people to take a plunge into the unknown territory !